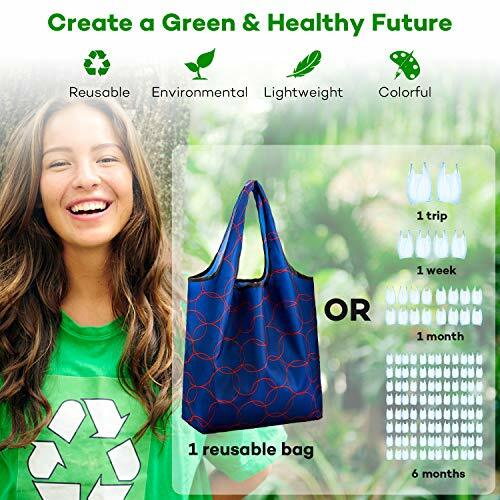 This grocery bag is made of degradable mesh polyester material with BPA-free, 100% food contact safe to hold and storage your fruits and produce. It's a great alternative to the plastic bag, and help you move a great step towards ECO-friendly life. Also, the mesh fabric make the produce bag breathable which avoid accumulating moisture. Comes with 3 different sizes (S / M / L) for pack of 16 / 9, and the large one weighs less than 1 oz. Therefore, it would add almost nothing weight and space when keeping several bags in hand or pocket. 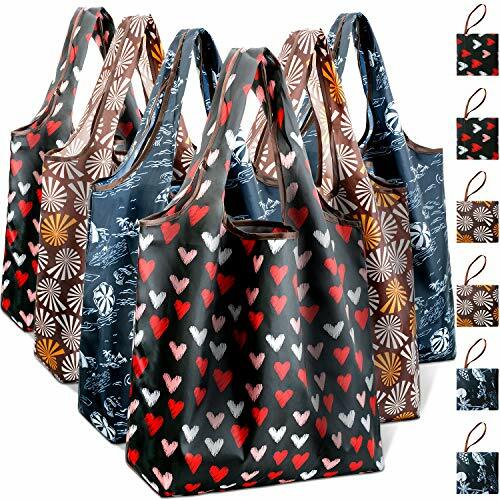 Furthermore, every bag comes with TARE WEIGHT TAG sewed on the side, and the weight tag has 3 kind of stitched weight units (gram / ounce / pound) for calculation convenient while weighing. The drawstring with lock bead design could keep your produce from falling out, no need to tie knots. It's more easier to open / lock the bag than plastic bag. NOTICE: the drawstring is just for closing not for lifting. The LARGE bag was designed for holding bulky produce, it could fit any bundle of leafy greens, like large collards / lettuces. As we tested, it can load up to 7lb weight capacity (Weight As 8~10 Apples). the SMALL bag is great for purchasing ginger root, garlic bulbs, fresh herb bundles and so on. 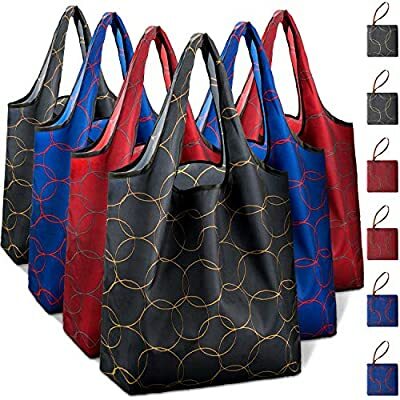 This mesh bag also fit to storage and organize kids toys, puzzles, or laundry bag as other customers mentioned. Washing tips has been showed in the picture, please check. By the way, iFAVO always offer prompt responses and solutions during 24 hours after receiving your questions or emails. Zero Waste & 100% Food Contact Safe: This grocery bag is made of degradable mesh polyester material with BPA-free, 100% food contact safe to hold and storage your fruits and produce. 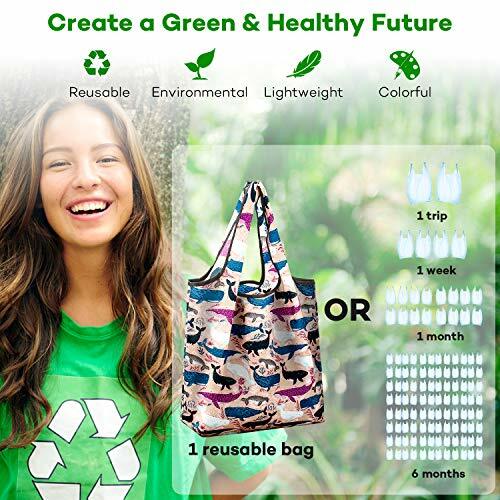 It's a great alternative to the plastic bag, and help you move a great step towards ECO-friendly life. Also, the mesh fabric make the produce bag breathable which avoid accumulating moisture. Weight Tag Attached for Easy Calculation: Comes with 3 different sizes (S / M / L) for pack of 16 / 9, and the large one weighs less than 1 oz. Therefore, it would add almost nothing weight and space when keeping several bags in hand or pocket. Also, every bag comes with TARE WEIGHT TAG sewed on the side, and the weight tag has 3 kind of stitched weight units (gram / ounce / pound) for calculation convenient while weighing. Drawstring Opening for Tighten Lock: The drawstring with lock bead design could keep your produce from falling out, no need to tie knots. It's much easier to open / lock the bag than plastic bag. NOTICE: the drawstring is just for closing not for lifting. Strong Carrying Capacity & Versatile Use: The LARGE bag was designed for holding bulky produce, it could fit any bundle of leafy greens, like large collards / lettuces. As we tested, it can load up to 7lb weight capacity (Weight As 8~10 Apples). And the MEDIUM size fits to carry mass of potatoes, tomatos, pomegranates, the SMALL bag is great for purchasing ginger root, garlic bulbs, fresh herb bundles and so on. What's More: This mesh bag also fit to storage and organize kids toys, puzzles, or laundry bag as other customers mentioned. Washing tips has been showed in the picture, please check. By the way, iFAVO always offer prompt responses and solutions during 24 hours after receiving your questions or emails.